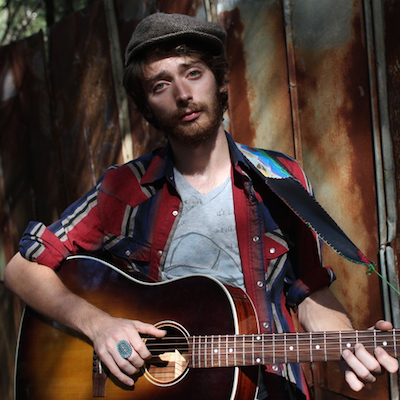 Song Premiere: Jonah Tolchin, "Unless You Got Faith"
Matters of faith are seamlessly entwined with roots music, from old spirituals to classic soul to new blues. Singer/songwriter Jonah Tolchin's work always falls somewhere along that spectrum, occasionally leaning more this way or that. On "Unless You Got Faith," the lead track from his upcoming album, 'Thousand Mile Night' (due out on August 5,) Tolchin leans into all of the traditional wisdom and modern influences he can summon. As a hammond organ leads the way, Tolchin outlines all the different kinds of faith we need to have in our lives in order to fully live: "Faith that he won't leave, faith that she won't lie, faith in the water, faith in the sky, faith in the choices that you learn to embrace... you can't love in this world unless you got faith." It's advice that pretty much everyone needs to hear and heed, at one point or another - including Tolchin. "When I was working as the producer on Julie Rhodes debut album, 'Bound to Meet the Devil,' I wrote this song for her to sing. It was a message that I felt she needed to be singing to herself at the time," Tolchin says. "I found out afterward that it was a message I needed to be singing to myself, too. This song is not necessarily about the kind of faith that is talked about in religion, although it does apply." Tolchin recorded 'Thousand Mile Night' at FAME studios in Muscle Shoals, Alabama, with producer/multi-instrumentalist Marvin Etzioni. Players on the set include guitarist Lucas Hamren, drummer Michael Joel Bosco, and bassist Jamie McFarlane (son of Muscle Shoals musician Will McFarlane). 'Thousand Mile Night' is due out on August 5 via Yep Roc Records and is available now for pre-order at iTunes.